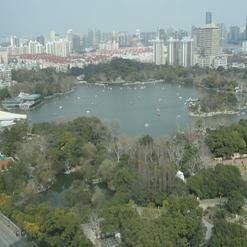 Shanghai Zoo, 45-min bus ride from Renmin Sq. See the giant panda and many more exotic animals at this spacious and modern zoo that's for the most part a far cry from the concrete animal prisons found elsewhere in the country (such as Beijing). Do not feed or tease the animals. Due to the World Expo, 10 additional pandas are rented from the Wolong Giant Panda Reserve in Sichuan.